BRUSSELS - The EU said Thursday it may allow countries in Europe's passport-free Schengen zone to carry out internal border checks for an extra two years to tackle terror threats. Home Affairs Commissioner Dimitris Avramopoulos said there was no longer any need for temporary checks that several countries reintroduced last year as a result of Europe's migration crisis. But he said the European Commission, the EU's executive arm, would present plans soon to "update" the rules when it came to security reasons, with EU sources saying that could happen in October. "The Schengen borders code may not be sufficiently adapted to address the evolving security challenges," Avramopoulos told a news conference in Brussels after talks with EU interior ministers. Avramopoulos cited recent deadly terror attacks in Spain and Finland, which have followed others in France, Belgium, Germany and other countries. Travel in the 26-country Schengen area -- which includes 22 EU countries plus non-EU Iceland, Norway, Switzerland and Liechtenstein -- is normally free of border and passport controls. Under current rules, countries can reinstate ID checks at their borders with other Schengen-area states for six months when there is a terror threat, extending that for up to two years in exceptional cases. The new plans would allow them to bring back checks for renewable two-year periods, up to a maximum total of four years, according to a copy of the proposal obtained by AFP. France, Germany, Austria, Denmark and Norway back the plan, saying the current limits are inadequate against a "long-term terrorist threat." France reinstated checks for security reasons the day after the November 2015 attacks that killed 130 people in Paris, but they are due to expire at the end of next month. Border checks introduced by Germany, Denmark, Austria, Sweden and Norway in May 2016 to deal with a huge influx of migrants into Europe from Syria and North Africa are set to expire in November. 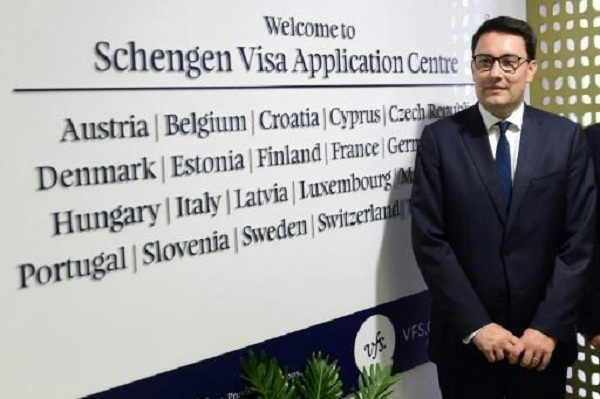 The reintroduction of so many checks raised concerns about the collapse of the Schengen zone, seen by many in Europe as a symbol of unity and freedom. The EU said Thursday it may allow countries in Europe's passport-free Schengen zone to carry out internal border checks for an extra two years to tackle terror threats.